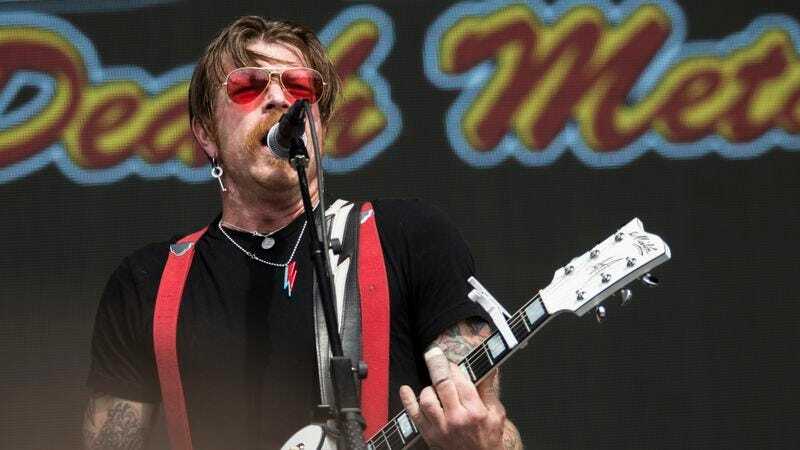 Eagles Of Death Metal frontman Jesse Hughes has apologized for statements he made earlier this week, suggesting that members of the security team at Paris’ Bataclan theater might have known about the November 13, 2015 attack on the venue—where the band was playing when armed gunmen stormed the theater—ahead of time. Hughes—who also recently made controversial claims about French gun control laws and their role in the attacks, which killed 130 people across the nation’s capitol—made the accusations during an interview with Fox Business. Eagles Of Death Metal had initially pledged to play the first show at the Bataclan when it reopened, presumably after renovations are completed by year’s end; it’s unclear and/or unlikely whether that pledge will now be carried out.